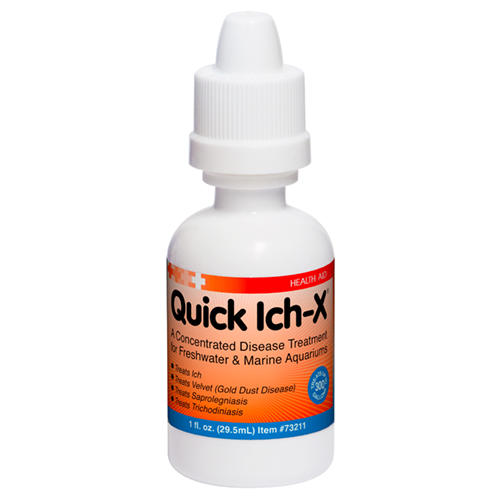 Ich-X® SW offers effective treatment of marine ich related issues with a non-staining formula that has been thoroughly tested in a number of marine environments. To treat, dose one (1) teaspoon (~5 mL) of Ich-X® SW to 10 gallons (38L) of actual water in system. Care should be taken to avoid over-dosing and the addition of aeration during treatment is always helpful. For Best Results: (1) always treat in a separate quarantine/treatment tank, (2) remove activated carbon from filters and clean or replace mechanical filtration media (do not stop filtration!) 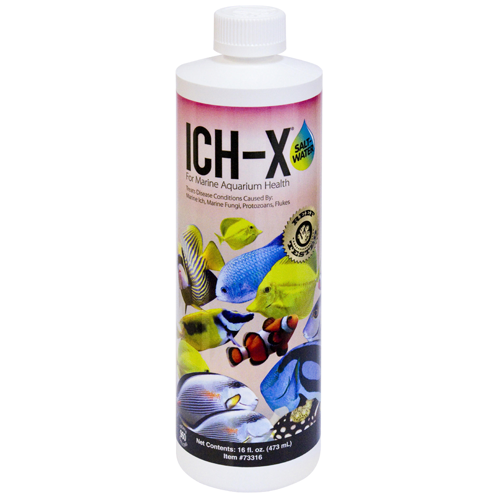 (3) make at least a 30% water change using your premixed saltwater before each addition of Ich-X SW® (use ClorAm-X® to condition the tap water when making your premix), and (4) repeat treatments at least every 24 hours, but no more than every 8 hours when accelerating treatment, depending on the course of the disease. Treatment should continue for a minimum of three (3) days beyond the visible signs of the disease. For use as a short term bath (dip) add two (2) teaspoons (~10 mL) per gallon of water and expose the diseased fish for approximately 30 minutes. (refer to the Ich-X® SW Product Data Sheet for complete details on this process). DO NOT OVERDOSE - this means you should calculate the actual amount of water in your tank by multiplying the length x width x height and dividing by 238 to get the true gallons. Please also deduct the amount of space consumed by substrate (gravel, sand, etc.) rock, decorations or other things which are displacing water. WARNING: DO NOT ALLOW TO FREEZE – If you find crystalized material under the seal of the bottle when opening or noticeable clumps in the material when poured out, the product has been frozen and should not be used. When frozen the active ingredient can become lethal to fish. 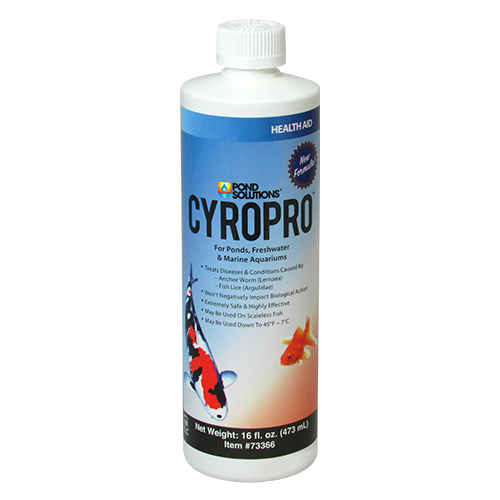 NOTE: We do not recommend using any sulfur or sulfinite-based water conditioners with this product. If your normal water conditioner does not list the ingredients please verify with the maker that it does not contain these ingredients. If you notice any rotten egg smell to the product, it likely does have these ingredients and should be avoided as it could cause the product to be less effective and the dissolved oxygen levels to be negatively impacted. Use Ich-X® SW to treat conditions related to ich and ich related disease. 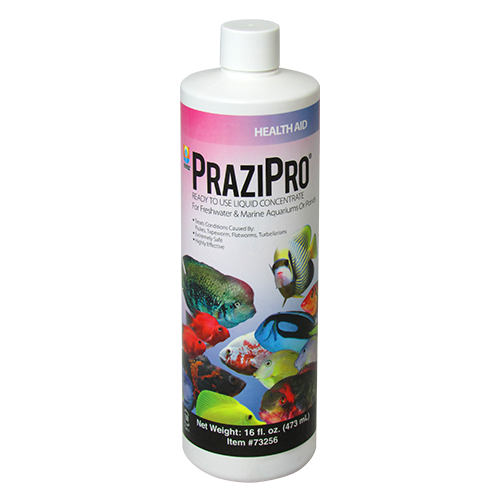 Do not use with any other medications, sulfinate-, or sulfoxylate-base water conditioners. Ich-X® SW can cause stress to some inverts but recovery is likely following use. If severe stress is noted do a 50% or larger water change immediately upon indications of stress. Never treat unless you can watch aquarium inhabitants for a minimum of 6 hours after the initial treatment. DANGER: MAY BE HARMFUL OR FATAL IF SWALLOWED IF SWALLOWED: call a physician or Poison Control Center. Drink 1 or 2 glasses of water or milk and induce vomiting by touching the back of the throat with finger, or, if available by administering syrup of ipecac. Do NOT induce vomiting or give anything by mouth to an unconscious person. In case of contact, immediately flush skin or eyes with plenty of water for at least 15 minutes; for eyes, get immediate medical attention. 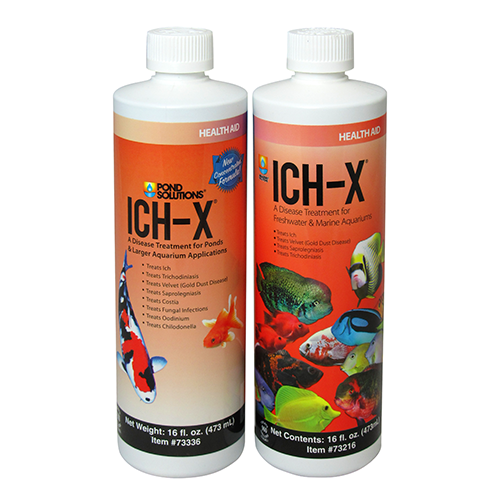 Because We Care: Ich-X® SW has been developed to offer assistance to aquarium keepers who are encountering problems with ich or ich-related issues who have tried other treatments unsuccessfully.